I don’t have all the answers when it comes to teaching children how to invest in the stock market. 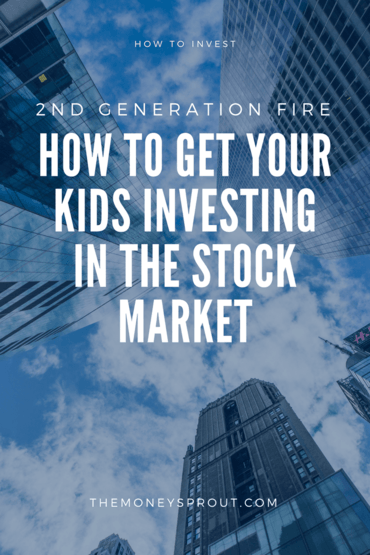 Having 3 kids of my own, I often struggle trying to figure out how to spark their interest and make investing fun. There are so many concepts I want to teach them about personal finance. Investing and building wealth from compounding interest is just one of those topics. Since each of our kids have a bit of savings, my wife and I figured there isn’t a better way to teach them by learning first hand. Over the past several months, they have started using using their own money to invest and begin building their portfolios. There are a few ways for kids to invest, some better than others. For our kids, we choose a path where they can invest a portion of their savings now and will watch it grow slowly overtime. And each year along the way … hopefully add more savings to their portfolio. When it comes to learning, I am personally a big believer in using the “hands on” approach. I know that is how I learn and believe it is the best way to teach children how to invest. That is why my wife and I decided to setup custodial brokerage accounts for each of our 3 children. Here are the steps we have taken in order to start teaching our 3 children (ages 6, 10, and 14) the power of compounding interest and investing. These steps are a working blueprint of how we are teaching our children how to invest in the stock market. Note – Not only will our kids hopefully be learning the basic concepts of investing … but they will also be starting to build their own wealth when they don’t even realize it. The first step we took was opening an online kids savings account for each of them. We actually opened these accounts many years ago, long before we even thought about teaching them to invest. My wife and I originally set these up so that they could deposit any birthday money they received over the years. Normally, we would let them keep a portion of any money they got as gifts, to spend if they wanted. Now our kids use these savings accounts as the first place they deposit their money … other than the cash they keep for spending. These accounts are eventually used transfer a portion of their savings into their investment accounts. These Kids Savings Accounts through CapitalOne are currently earning 1.0%. And each month they are earning a few cents of interest. Unfortunately, those couple of cents aren’t enough to get them too excited about saving just yet. The next step (which goes right along with opening a savings account) is to start saving. Our children don’t have a lot of money coming into their accounts, but they do get some from their birthdays, Christmas, etc. They will also get a few bucks here and there for doing work around the house. We haven’t developed any hard set rules about what percentage of their money each kid needs to save … like say 50%. It seems like most of the time, if they get any money … they tend to forget about it after a few days so we just deposit it into their accounts. This is one area that we want to focus on a little more and get our kids involved in the decision making of saving vs. spending. Again, I feel that the best way to learn is “hands on” … so we want our kids to start making their own decisions on money so they can learn. This is still a work in progress for us, but the first step before we can teach them about investing is about saving. And depositing money into their savings account is a natural place to start. Fast forward a couple of years … and our kids began to accumulate a decent amount of money in their savings accounts. Not a ton of money, but enough to start noticing. 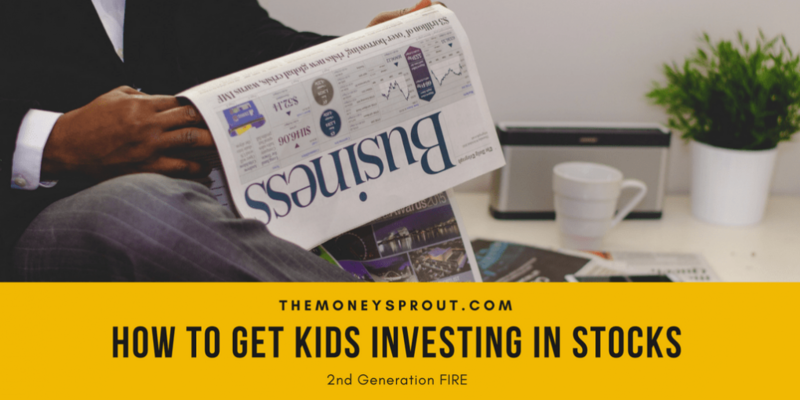 As a long time dividend growth investor, I began to start investigating ways my children could begin building their own portfolios with some of their savings. Instead of earning that tiny 1% interest in their savings accounts. This eventually brought my wife and I to opening custodial accounts for each of them. We searched around for a while looking for low cost brokerages that offered these types of accounts. Two low cost brokers (LOYAL3 and Robinhood) had been claiming they were going to eventually offer custodial accounts … so that was my first preference. So we waited around for about a year to see if either would be an option. Well LOYAL3 ended up closing down and Robinhood still doesn’t offer custodial accounts. So we ended up opening custodial account for each of our children through Stockpile. In my opinion, Stockpile is an okay choice for opening custodial accounts … but not great. They charge $0.99 commission on all trades … which isn’t bad … but makes it hard when the kids only have a few hundred dollars to invest. We don’t want them to pay a bunch of fee’s to invest … which is another important lesson we can teach them too! Looking back, I would have opted to setup our kids custodial accounts now through Vanguard. But based on the investment strategy we picked for them (see #4) at the time … Stockpile was the best option. But not anymore. This is probably the most important step in teaching our kids about investing in the stock market. I had it in my mind that our kids would all start building their own dividend income portfolios. Which is why we opened up Stockpile accounts for each. We wanted to keep expenses low, so $.99 commission on stock purchases was the best option to do that. But what we realized was that it is hard to build a dividend income portfolio for kids. Not because they are kids. But because they don’t have a lot of money to invest initially … which means it is almost impossible to diversify. I also found that it was hard to get my 14 year old (our oldest) to care that much about individual companies … which is a requirement of dividend investing. All he really cared about was how he could eventually become a millionaire someday if he started investing his money now. I then realized it was just too difficult to use dividend growth investing as a strategy for my kids. So we switched focus to investing in low cost index funds instead. There is a reason why I wrote the post – Why I Don’t Invest in VTSAX … But My Kids Will. I see a ton of benefits for my wife and I to build a dividend portfolio of stocks that will generate sustainable income. That is why we have been investing this way for almost the past decade. But as great as I think that strategy is … it just doesn’t work for my children. They need simplicity when it comes to investing. That is why we have developed a strategy for them to invest in the overall stock market – by purchasing low cost index funds. So for now, each of our children will be investing in the Vanguard Total Stock Market ETF (VTI). This is the ETF version of the popular Vanguard Total Stock Market Index Fund (VTSAX). Stockpile offers this ETF as an investment option with commissions of $.99 to purchase. It is an easy investment bucket for our kids to understand and learn the concepts of the stock market. We don’t have to worry about tracking individual stocks for them and they are diversified with every purchase they make. Note – Yet another important lesson for our kids to learn in this process is diversification, which they are practicing when they purchase shares of VTI. As you can see by the steps I laid out above … teaching our kids how to invest is still a work in progress. Each of our kids have a savings account earning them 1% interest each month. The majority of the money they receive or earn around the house goes into this account initially. From there, about 80% of their savings have been transferred to their custodial accounts at Stockpile. Those funds have been used to purchase shares of the Vanguard Total Stock Market ETF (VTI). By going through this flow of money from account to account, we hope our children can learn the concepts of earning, saving, and investing. Of course, there is a better chance our 14 year old will catch on much quicker than our 6 year old. That is expected. And not only will our kids eventually learn how to invest … but will also have a nice little portfolio waiting for them when they turn 18. In the future, we are also looking at opening up a Roth IRA for our oldest son when we first starts to earn income. This will help him optimize his future tax obligations while teaching him important lessons about how his money is taxed. What tools have you used to teach your kids to invest? Have you setup a custodial account for them?